35. Constraints: Use Them to Your Advantage - KJ Kuchling Consulting Ltd. 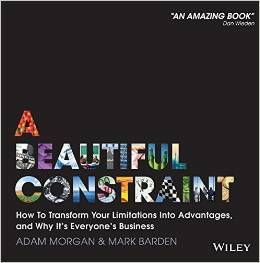 I recently read a business book called “A Beautiful Constraint: How to Transform Your Limitations into Advantages, and Why It’s Everyone’s Business” by Adam Morgan and Mark Barden. It describes how to use constraints, like lack of time, or money, or resources and use them to help transform your company for the better. The book discusses how to shift away from the typical “victim” role by understanding how our routines control things, ask the right questions, and focus on “how” and not “if”. A good example: one of the recommendations in the book is in your team meetings no one on your team is allowed to utter the words “we can’t because…”. They must replace those words with “we can if…”. This forces the generation of ideas and promotes a positive attitude rather than a victim attitude. The book describes how many innovative ideas are due to constraints and those innovations would never have come about without those constraints. To force innovation in your organization you can create artificial constraints for your team. This will foster innovative thinking and push for “outside the box” ideas. The tougher the constraint, the greater the challenge for your team. Possibly the greater the final outcome too. The term Theory of Constraints may be common to some. However that concept is different than what is being discussed in the book. The TOC essentially relies on managing a constraint or eliminating it, and then addressing the next constraint in sequence. The book authors instead propose to exploit the constraint or leverage it to create a new possibility. Hence the title “beautiful constraint”. We all know the mining industry has more than enough constraints placed upon it today. It may be lack of funding, lack of skilled talent, environmental pressures, supply-demand issues, social issues, or security issues. 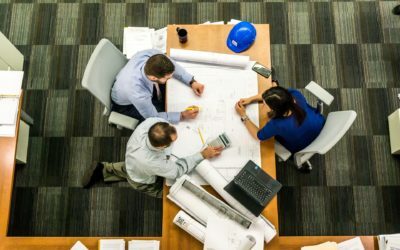 Each mining project may have additional constraints, so one probably doesn’t need to create artificial constraints for the team. The mining industry has no option but to try to use these constraints in a constructive manner. Miners must not let them pull the industry down nor simply wait until they go away. When people say “Mining is cyclical and it will all turn around soon.”, that’s an example of waiting for the constraint to go away. How long do you wait before taking your own action? The bottom line is that the book is an eye opener and enlightening. It may be telling some of us what we already know deep inside but don’t acknowledge openly. Don’t wait any longer, start innovating, and don’t be afraid of grand innovations. Tagged: Mine Engineering, Mining, Study Management.